Dusty Girls is a makeup brand created (or as they say, farmed) by the more well known brand MooGoo, an Australian based company who specialise in skincare, haircare and bath/body products to soothe sensitive and problem skin types and which don't contain any petroleum based ingredients. MooGoo have some great skincare products including their Full Cream Moisturiser which was featured in my recent July Favourites. I was definitely excited to hear that they have created a new range of products under the sub brand Dusty Girls which is dedicated to natural, high quality mineral makeup products that make you look like you've spent a day outside in the sun, creating that healthy, glowy look. I was intrigued to find out more, and gratefully accepted these products to trial for you all and put to the Bows & Pleats test! I was kindly sent the Tinted Earth Cream in Light (made especially for acne-prone skin types), the Night Fall Natural Mineral Mascara (perfect travel size and love these sort of brushes), Sunshine Natural Mineral Bronzer (contains slight shimmer but very warm and pigmented), Golden Delicious Natural Mineral Blush (peachy shimmer) and the Argyle Pink Natural Mineral Lip Shine (gives a really pretty sheer rose colour to the lips and moisturises). I also was sent their mini Kabuki Brush, which I have been using and loving (so soft) for my setting my face with powder but wouldn't normally use for the blush or bronzer as I prefer an angled brush to apply these. Playing around with my Dusty Girls goodies! I've been playing around with this lovely range of natural makeup products from Dusty Girls, and I have to say I have been so impressed. Their packaging is so lovely, very minimalist, aesthetically pleasing and gorgeous warm colours to brighten your morning makeup routine. The blush and bronzer are both very pigmented. The tinted moisturiser, although I didn't love it's smell, has really great coverage compared to other tinted moisturisers I've tried and makes the skin very glowy and radiant. The mascara gives a very natural look to the lashes, darkening as well as lengthening and adding a little volume. The natural mineral lip balm is also quite nice and adds just enough colour to make you feel put together before heading out the door while also being quite nourishing on the lips. I thought it would be more fun to show you how I played around with these products to create a very natural look, something I would wear to go visit a friend for coffee or head into the shops. I hope you like it! 8 - Apply mascara to top and bottom lashes, or however you like it best! 9 - Apply some tinted lip shine to add some colour the lips! Done! The finished look - A Dusty Girl! I hope you like this super simple and easy natural makeup look featuring these products from Dusty Girls. I really like keeping my makeup quite natural most days so this brand really resonated with me! 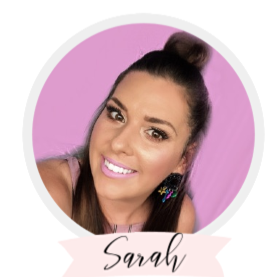 I'd definitely recommend them for anyone looking for more naturally derived makeup products that don't use any nasties or harsh chemicals, and that are made here in Australia. What are your favourite natural makeup products? *These products were kindly sent to Bows & Pleats in exchange for a review. All opinions are 100% honest and my own. This post was not sponsored.